Gjeeze! As cliche as it sounds...where did they time fly by?! May just seemed to rush right past us, and with that, of course, comes some products used up hence the title "May Empties!" The first one is e.l.f. Studio Mineral Infused Face Primer which I actually really liked, especially for the price. It was around $6 at Target and lasted me quite awhile. It is one of those silicone feeling primers, very similar to the Maybelline Baby Skin primer. I liked how it felt on the skin and how it made it smoother. I probably won't repurchase though, only because I have a few other primers on hand and I always like trying out new ones. 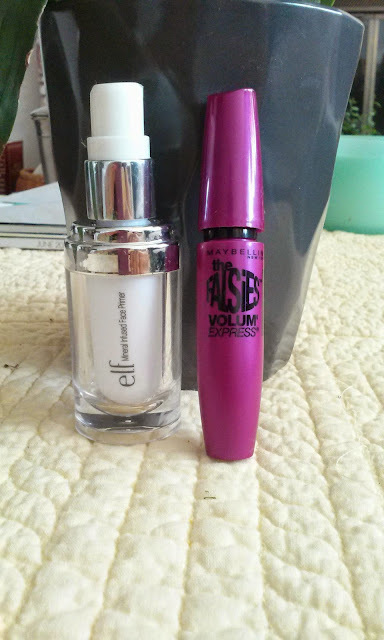 The second beauty item is the Maybelline Volum' Express The Falsies mascara which I did not like at all. Maybe this item was too hyped up for me or and didn't get the other falsies mascara but this one just wasn't my favorite. I usually like wet formulas but this one seemed to clump a lot on me. I even used it after awhile when the formula was a bit drier but it just made it worse. I did like the brush on it and it would take me a long time to work with the mascara to get a look I wanted, and that is just too high maintenance for me so I will NOT be repurchasing. I much prefer The Rocket or the Colossal Cat eyes mascara over this one. The next two items are for hair and skincare. The first one is the TRESemme Fresh Start Strengthening Dry Shampoo and I did not like this product at all. I tried to give it many chances, but in the end, decided that it just had to go. The scent is definitely too powdery for me and it leaves too obvious of a cast on my hair, even if I try really hard to work with it. Yes, I do have black hair, but I have had other dry shampoos that don't leave a cast like this one. I will NOT be repurchasing. The skincare product I used up is and oldie, but a goodie. 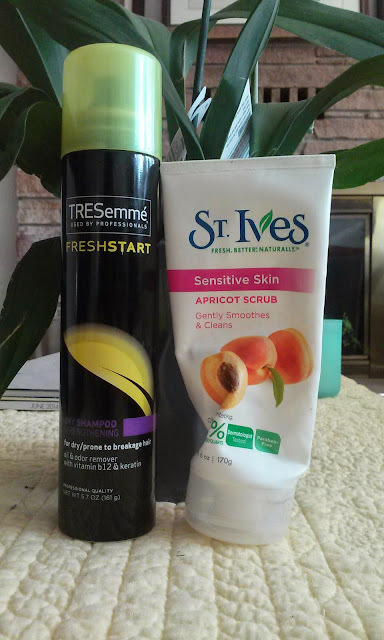 This is the St. Ives Apricot Scrub for Sensitive Skin . Not only have I used up about 3 of these previously, but I will most likely repurchase it. I know you're not supposed to exfoliate every day, but I use this almost up to 5 times a week and I find that it is gentle enough for every day if I wanted to. The apricot seeds help flake off the dead skin and reveal fresh new skin and isn't too harsh on my sensitive face. I find it especially effective around my nose, mouth, and forehead area. I highly recommend this product! 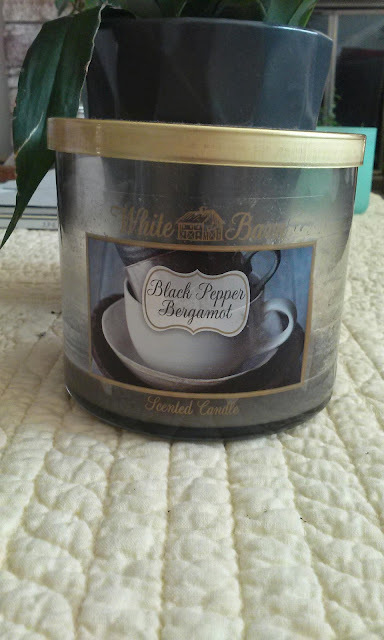 The last empty I have is a candle from Bath and Body Works in the Black Pepper and Bergamot scent. I am a sucker for all things Earl Grey or Bergamot smelling so you know I had to get this one when it was released in the winter time. I finally used it up and have to say I really enjoyed the scent. It was a warm, deep scent that gave off a sensuous feel--I definitely liked burning this at night time. If they came out with this candle or something similar to it in come Fall time, I would repurchase it. 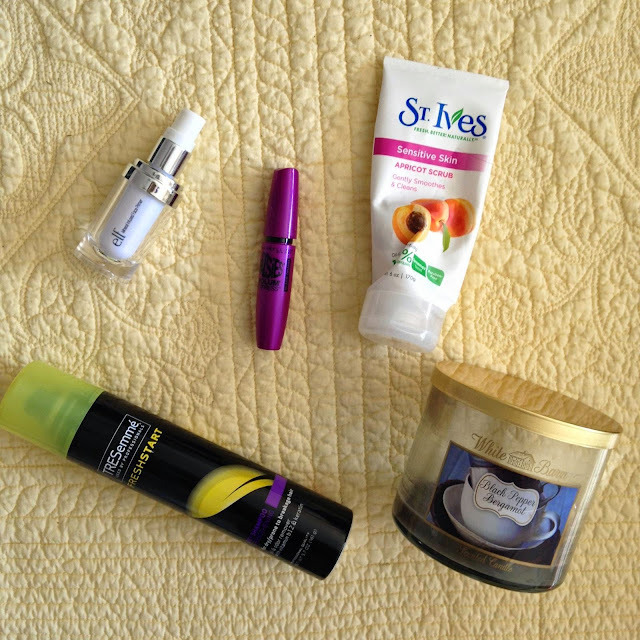 Have you tried any of the products I've used up?? Let me know!